Please refer to our stock # Shotei081 when inquiring. Chuban. Approximately 10 x 7 inches. 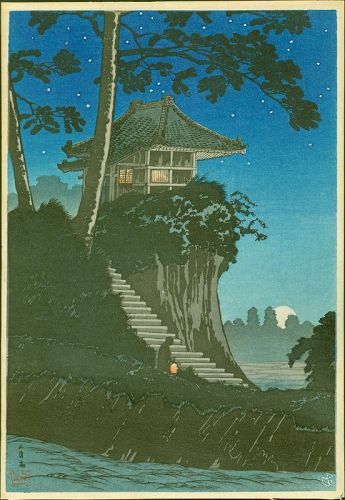 Publisher: Watanabe Shozaburo. No. 197 in 1936 Watanabe catalog. White 6 mm Watanabe seal at lower right. Condition: Excellent. Paper residue at back bottom margin.